Australian authorities say they have prevented 13 terror attacks on home soil in the past few years, including an alleged plot in July to bring down a plane using poisonous gas or a crude bomb disguised as a meat mincer. A major attack in Australia is "inevitable", one of the nation's top counter-terrorism police officers said Wednesday, warning that "anything can happen at any time". Canberra also released a national strategy last month to help venue operators prevent vehicle terror attacks carried out in crowded public places following deadly assaults in Europe. "I don't like to say it but it will happen. It's inevitable," New South Wales Assistant Commissioner Mark Murdoch, the state's counter-terrorism boss, told Sydney's Daily Telegraph. "Despite everything that is being done and the good work that law enforcement and intelligence is doing, without wanting to create unnecessary fear within the community, it's going to happen." Canberra has become increasingly worried about homegrown extremism, and raised the national terror alert level in September 2014. It stands at "probable", the third in a five-level scale. That means "credible intelligence, assessed by our security agencies, indicates that individuals or groups continue to possess the intent and capability to conduct a terrorist attack in Australia". Murdoch said a key risk was attackers not already on the authorities' radar, such as two Sydney men currently charged with the alleged plan to bring down an international flight. "(Domestic spy agency) ASIO tells us that the profile (of a terrorist) is a lone wolf, small groups, rudimentary weapons easily accessible like knives, firearms and cars," he added. "So that's their threat profile and then all of a sudden we get something like a meat grinder. "What that tells us is that while we are pointed in a particular direction by intelligence sources, we need to maintain an open mind because in this business anything can happen at any time." In the heart of Sydney, the state's capital, concrete blocks have been put in place to act as barriers against vehicle attacks. State premier Gladys Berejiklian told the newspaper her government was "doing everything we can to keep the community as safe as possible". Several terror attacks have taken place in Sydney in recent years, including a cafe siege in 2014 that saw two hostages killed. A major attack in Australia is "inevitable", one of the nation's top counter-terrorism police officers said Wednesday, warning that "anything can happen at any time". 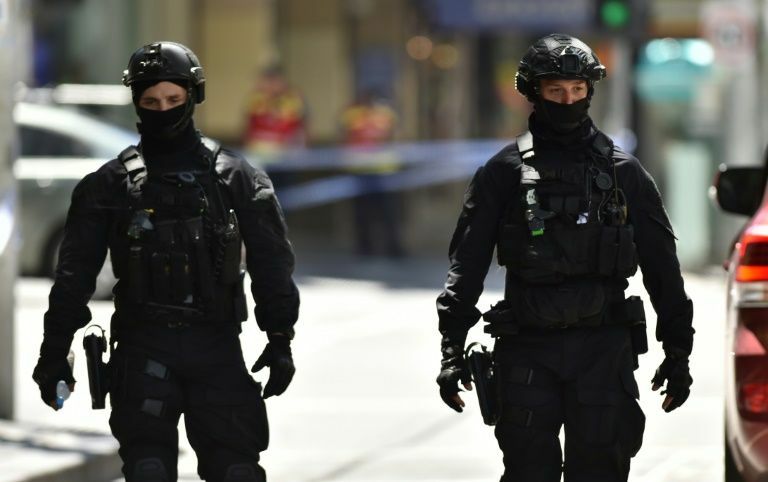 Australian authorities say they have prevented 13 terror attacks on home soil in the past few years, including an alleged plot in July to bring down a plane using poisonous gas or a crude bomb disguised as a meat mincer.